This post contains affiliate links. Please see here for full disclosure. 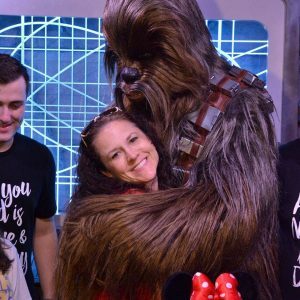 A few weeks ago a Christian blogger wrote a blog post about why she would no longer take her kids to Walt Disney World. I did not take the time to read her post because honestly, I didn’t care but from the comments that were left on her Facebook page, I could pretty much tell why she decided to no longer take her kids to Disney. If you have not read her blog post, from what I have gathered from the comments that were left, it basically says that she is very upset after the release of Beauty and the Beast because she feels that Disney is pushing and promoting the LGBTQ agenda in this movie and fears that it will carry over even farther in other Disney performances. As a result of her feelings, she canceled a family trip to Disney. Now, if you have noticed, I did not leave you a link to her website or mention her name because I feel like she has already been slandered enough and has received quite a bit of free promotion and press from other blog sites and websites and most likely gets paid for every click that she receives to her page. With that said, I 110% respect her opinion, in addition, to the opinion of everyone that may disagree with her. I also think that for anyone that is being vicious and awful to her should be ashamed of themselves and should realize that these are teachable moments. 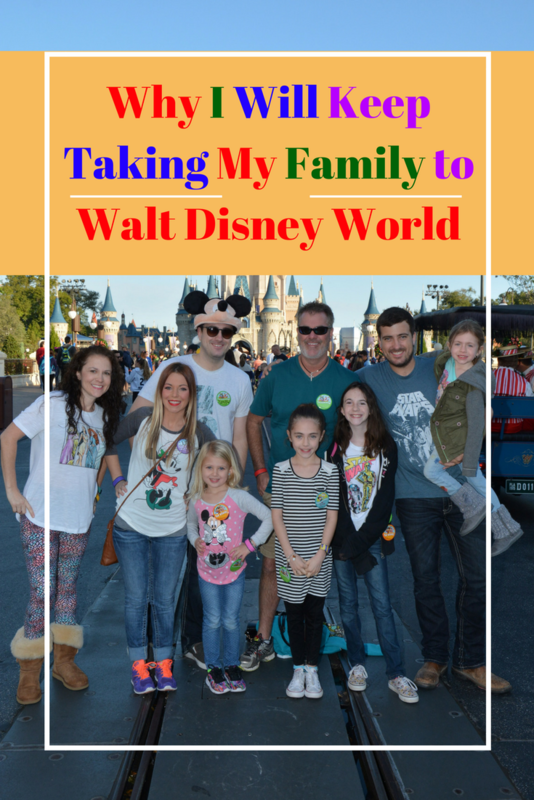 While this blogger wrote why she is canceling her trip to Walt Disney World, I wanted to share with you, why I keep taking my kids to Walt Disney World. My girls can live out their princess dreams. Their favorite Disney characters are at every corner and my kids can hug them, high five them and even eat in the same room as them. Where else can you live a Star Wars experience? Seriously, Jedi Training Academy is the coolest thing ever, along with getting a picture with Chewbacca! Everyday parades and nighttime fireworks are mesmerizing and never get old. The beautiful shows such as Fantasmic are perfect for kids of all ages. My girls get to see their mom and dad get as excited as them, if not more, to see Mickey Mouse. Most likely, due to the cost of flights, I will not be able to take my girls outside of the country, so instead, I take them to the World Showcase at Epcot. In addition to the sites at the World Showcase at Epcot, I am able to let my girls taste foods from all around the world. 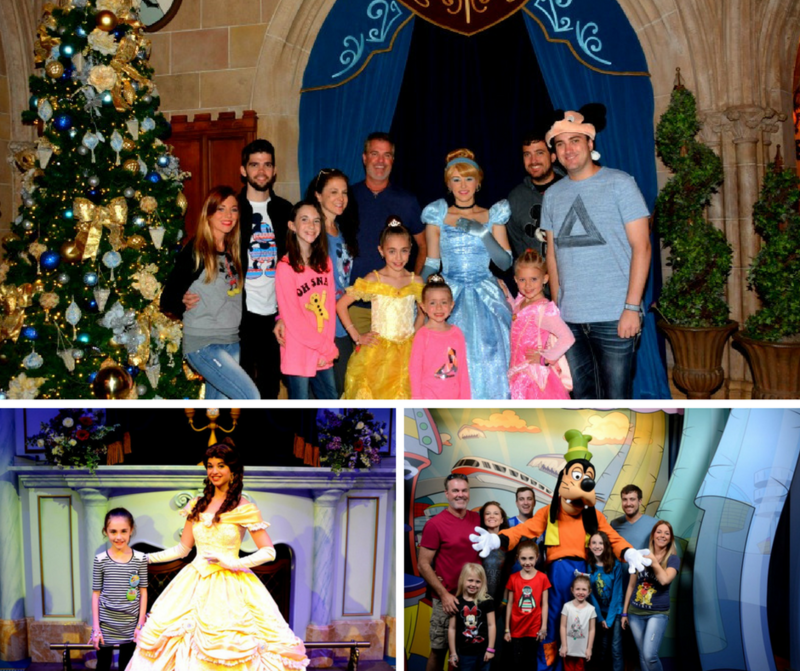 The look on my child’s face, my adult kid’s faces, my face and my husband’s face when we see Anna and Elsa…. priceless. The amount of age appropriate live shows that I am able to expose my child to in the small amount of time we are at Disney makes me smile because they love every second of each show. If you follow my blog, you will know that I have had the opportunity to raise 2 sets of kids. If you have not read my blog, go to my Contact Me page, you will love it! My husband and I first took our oldest set of kids to Disney when they were very little and have been going back every 4-6 years. Each time we visit, especially now that we have included our youngest set of kids into our trips, it is a new and magical experience that create even more memories. I love listening to my older kids tell their younger siblings stories of when they were little and their adventures at Disney. The staff at Disney has the patience of saints. I know that I can bring my kids to Disney and every staff member is trained on how to handle unhappy and unpleasant kids. Yes, it is my job to parent my kids but sometimes it is helpful when Belle or another cast member steps in and helps because as they say, it takes a village. I am able to pay a small amount of money to have my kid’s happiness documented forever by professional Disney photographers. I like to teach my girls the history of Disney. Throughout the years, we have watched a lot of Disney documentaries, so when we visit, it gives us a lot to talk about. Since I have kids that vary in age, I love the wide variety of rides that Disney has in all of its parks. There is so much for each age group and if only one child wants to ride, you can take advantage of parent swap. They make it so easy. It is really the happiest place on Earth. I love Disney. That feeling I get when we drive through the gates of Walt Disney World, along with that feeling I get when I walk into the parks never goes away and to see the sparkle in my child’s eyes when they get that feeling brings a happy to my heart. My hope is that my kids will share their happy and be able to see that same sparkle in their kid’s eyes when they walk through the gates of Disney. With that said, if you love any part of Disney, cherish it and share it with your kids. If you are not happy with the direction that Disney might be going, then it is your right to no longer spend your dollars at Disney. Everyone has an opinion and everyone has the right to express them without being crucified and slandered. Make sure to Pin this for others to enjoy…. We are from Florida, and my son grew up 2 hours away. We had yearly passes for awhile, but we grew tired of the lines, lack of personal space, and it lost its sparkle from a been there, did that a million times. That being said, for the past few years, we have picked a day to return and play as a family…..our son turns 22 in a few weeks, and will be graduating college (a semester early yay!) in a week. He said that our last trip over thanksgiving weekend was his best trip yet there. We received quite the compliment in line from a family with young children. They said they hoped that their kids would still want to hang out with them when they get that age. For all the downsides to Disney, it really is one of the few places a family can play together. That is what it has come to mean for us. So, we have already booked our yearly trip again. A RV campsite at ft wilderness, a golf cart rental for our days there, and when they go on sale, we will buy our yearly ticket to Mickey’s Very Merry Christmas Party…..so we can play together and make more memories. After it’s all said and done, it’s the memories we have together that are priceless. For what it’s worth……the events they have after the park closes, and far less crowded as they only sell to 1/3 capacity. Waits for lines are up to 15 mins. We love traveling to Disney with our adult kids and our little kids. Best memories ever. We have been to Disney World twice and I love it more then the kids. I don’t personally agree with everything Disney does, but try to use these things as teaching moments as a parent. I respect people who make the decision to not support companies for different reasons, but at this time I am still hoping to make another trip south in a year or two!